Volunteers are truly at the heart of our events. The amazing people that give of their time and efforts inspire us all to do better and be better. We're calling for applicants to the 2016 Aiello Inspiration Team at the Eversource Hartford Marathon. We are looking to honor those who volunteer in their communities - whether volunteering for charity, mentoring, donating time to community services or supporting Eversource Hartford Marathon as a race week volunteer - we want give these superstars the VIP treatment. Do you know someone who fits the bill? Nominate them by July 8 here! Check out more information about the application process below. The Hartford Marathon Foundation is calling on athletes and volunteers who offer their time and efforts to various community causes to submit an application for the Aiello Inspiration Team at the Eversource Hartford Marathon and Half Marathon. 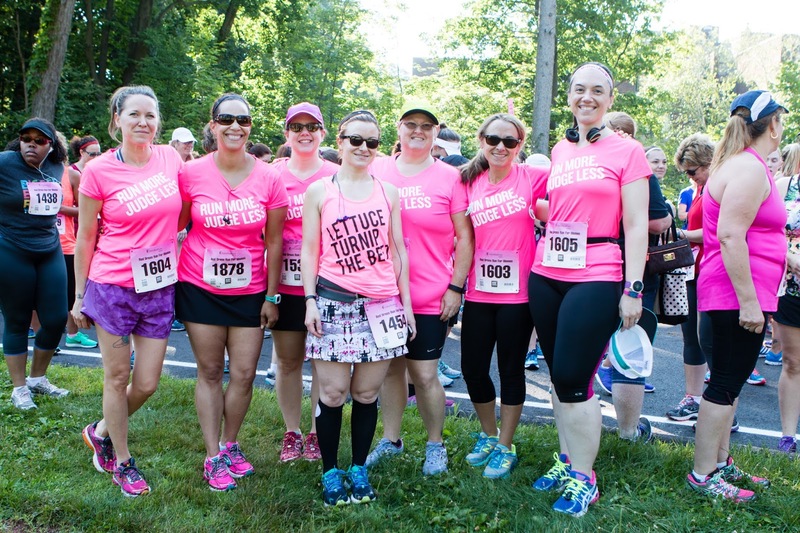 The selected team members will represent runners in the event who also serve their communities and, new this year, the team will include outstanding volunteers at the Eversource Hartford Marathon. The inspirational and motivating race day runners and volunteers will represent the best examples of dedicated service to community groups and causes. Candidate submissions must reflect the ways in which the individual has been positively linked to these initiatives. Applications will be accepted from runners and race day volunteers of any age or skill level participating in the Eversource Hartford Marathon and Half Marathon, on Saturday, October 8, 2016, in Hartford, CT. Participants can nominate themselves or others who they feel represent these inspiring qualities. All team members will also be featured in various race promotions and publications and at the Total Fitness Expo during race week. Nomination forms are available on the Eversource Hartford Marathon and Half Marathon Registration Tab under Aiello Inspiration Team. Nominations will be accepted through July 8. A panel committee will review applications, and winners will be notified in late July. “Volunteers are invaluable to the Hartford Marathon Foundation and at the core of what makes the Eversource Hartford Marathon a success year after year. We are delighted to include athletes who volunteer and race week volunteers in this year’s Aiello Inspiration Team and we look forward to reviewing the nominations,” said Beth Shluger, CEO of the Hartford Marathon Foundation and Race Director of the Eversource Hartford Marathon and Half Marathon. “It’s an honor to continue supporting the great tradition of the Aiello Inspiration Team and bring well-deserved attention to athletes and volunteers that make positive contributions to their communities, causes and charitable organizations,” said Michael Jezouit, President of Aiello Home Services. The inspiration team was introduced in 2011. Aiello Home Services signed on to support the Aiello Inspiration Team in 2013 to help recognize the many amazing personal journeys and experiences that compel individuals to take part in Hartford Marathon Foundation events. The event has received national recognition for its commitment to providing all runners with exceptional services, including award-winning post-race food and top-notch entertainment. Extensive efforts to offset the environmental impact of the event have earned the Eversource Hartford Marathon recertification at the Gold level by the Council for Responsible Sport. A repeat recipient of recognition by the Road Runners Club of America, the Marathon has earned Regional Championship and National Championship status. 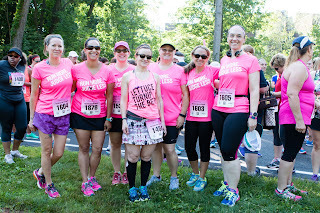 The HMF Girl Squad has formed to bring women together to train, encourage and help each other as they prepare for the Eversource Hartford Marathon this fall. It's FREE for women of all ages and abilities!! Sign up here today and then find the group on Facebook to join the conversation! · Tried-and-tested girl advice. Sports bras that don’t chafe. The perfect shoes (for running, rocking out or relaxing). Shorts that don’t bunch. It’s near-certain that someone on the squad has been there, done it and can give you the lowdown. · All for one. Like Bobby’s baseball team or Suzy’s swim club, joining the squad makes you part of shared fun. · De-stress time. Run it out together…job stress, needy kids, home projects, chores to do. Leave it all behind for an hour (or two) without guilt. · Safety in numbers – Not sure about running a new trail solo or branching outside your route for more miles? The squad will connect you with others to run with where and when you want. · Pacing for and with others. Find joy in helping others along and find someone to help you reach new pace goals. · Expand the network. Looking for a job? Need a weekend sitter? Want recommendations for reliable house cleaning? Someone will probably know someone (who knows someone, who knows someone). Our loyalty runs deep. · Cheering squad. More people to celebrate with you or help pick you up when this are getting you down. · Sweat, spit, pee in the woods. None of us glisten, we’re all runners!! · Girls Rule. We share a collective pride in the ability to do it all. Red Dress Run with a team! Run with friends? Have a lunch break walking crew? Spend weekends active with the family? We’re inviting women who walk or run together to join as teams at the July 9th Red Dress Run for Women, presented by UnitedHealthcare. A festive celebration of women's health, the 3.1 mile run or walk starts and ends in the Elizabeth Park Rose Garden, fully in bloom on race day! A non-competitive and supportive spirit highlights the popular women-only annual race. All teams that register by June 24 have a chance to win FREE custom tutus in the color and size of each team members’ choice. Or, the randomly selected winning teams can choose from three designs of custom headbands. Just register in the "mother-daughter" or "open team" category to be eligible! We’re awarding one mother-daughter team and one open team. Winners will be selected and notified by email on June 25. We want to see your pictures too!! Post your team pictures on race day to our Facebook or Instagram and we’ll show off your group to the HMF community. Thanks for running with us and continuing to make the Red Dress Run such a special event each year!